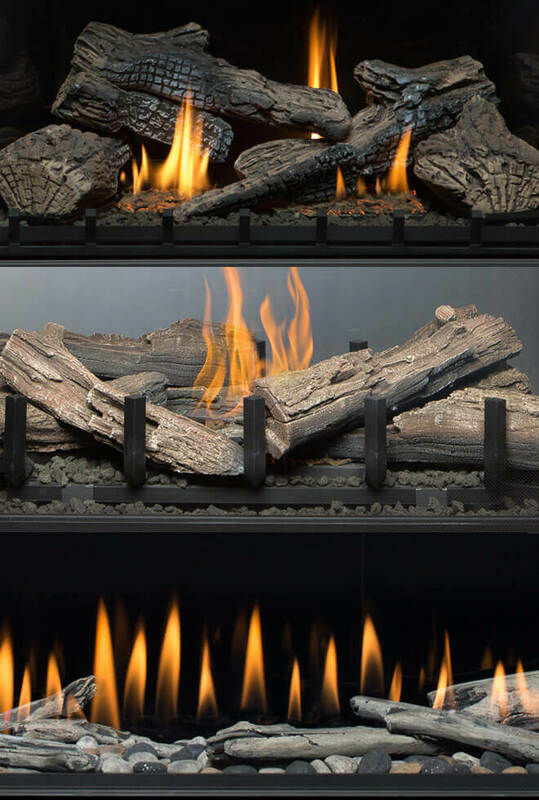 Nothing sets the right mood quite like selecting the perfect burner media for your fireplace. Whether you prefer the sleek look of glass, the tradition of burning logs, or the outdoorsy feel of beach stones and driftwood, we’ve got you covered with a selection of high quality and premium options. No matter your taste, you will find something to suit your own personal style. Smooth glass beads that are rounded like pebbles provide a clean and modern look in your gas fireplace. Firestones reflect light to create captivating color and sparkle. 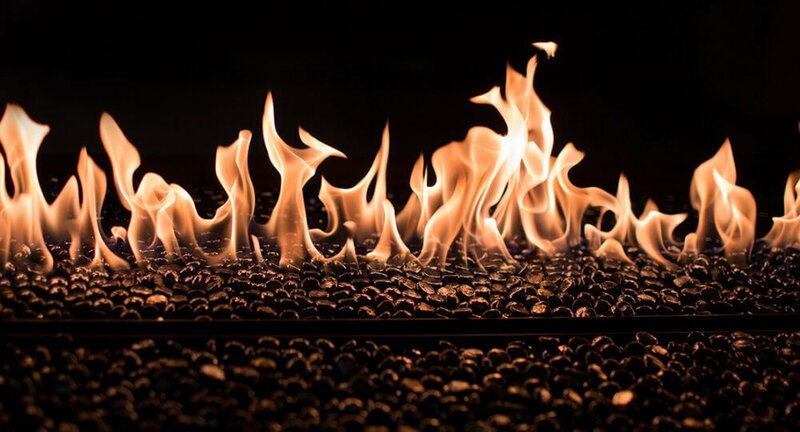 Designed to completely cover the burner, firestones can be paired with uplighting or LED lighting to create different moods. 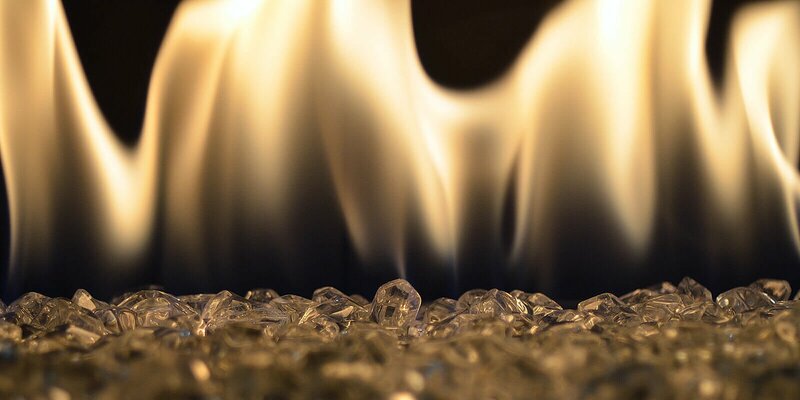 Shards of mirrored glass that is ‘crushed’ or broken provides a clean and modern look in your gas fireplace. Fireglass reflects light to create captivating color and sparkle. Fireglass has sharp edges – protect your hands with gloves and use caution when handling it. Designed to completely cover the burner, fireglass can be paired with uplighting or LED lighting to create different moods. An elegant and earthy option, river rock and beach stone can be used in gas fireplaces to bring the outdoors in. Manufactured with heat resistant materials, this media won’t crack or chip, even when exposed to direct flame. Available in a variety of shapes and colors, river rock and beach stone are a popular choice for a contemporary earthy feel. 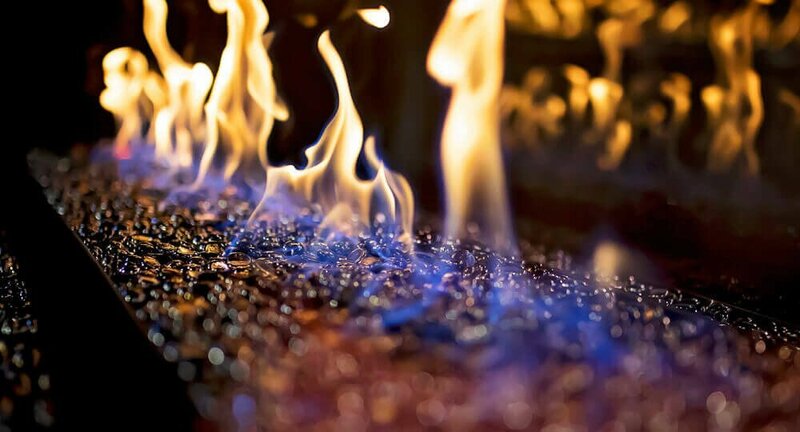 If you are a fan of traditional wood burning fires, but not the messy cleanup, then fiber logs or driftwood for gas burning fireplaces could be just what you’re looking for. Contemporary technology makes the most realistic looking wood logs possible, right down to the blackened char marks, splits and knots of the real thing. Always refer to the manufacturer installation guide and user manual when arranging any media type on and around a gas fireplace burner, pilot cover, and air inlets. Proper placement is crucial to the safety, function, and form of your fireplace. In general, firestones and fireglass are designed to completely fill the burner tray. Made from heat resistant material, glass media is designed to withstand the intense heat and produce a beautiful smokeless flame. Ceramic and fiber media, like driftwood, logsets, and rocks, should never be placed directly over an open flame. The material is fire resistant, but when placed too close to the flame, it will smoke and create soot that will dirty the glass on your fireplace very quickly. Never place real stone or wood in a gas fireplace. Natural stone and wood is porous and can trap moisture, even if it looks like it’s completely dry. Trapped moisture will expand when heated and poses a very dangerous explosive hazard.